The No. 1 top offending SEO technique, according to both SEO software firm SEOmoz and Google's own guidelines, is to design your Website so that search engines see one thing while human visitors see another. This is commonly called "cloaking," and it's generally considered the dirtiest trick there is. Let's face it, the redirected site is never about anything fun. If a Website operator offers the same content on multiple pages, subdomains, or domains, it can result in extra traffic and higher rankings--or at least, so the thinking goes. Unfortunately, it's another violation of Google's Webmaster Guidelines, and it can get you kicked out of its index. 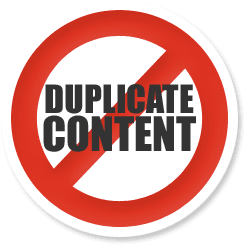 Google has been known to ban sites that duplicate too much content or at least severely penalize their ranking in search results. Don't try to add extra <title> tags for more keywords. This cousin of keyword stuffing is called title stacking, and it won't win you any friends at Google. Doorway pages or Gateway pages are pages that are optimized for one key term but are really designed to be gateways to lead you to different content. They usually have very little in the way of original content and often cloak or redirect users to the intended Web site. Be aware of affiliate programs, because some of these may look like doorway pages to Google. Don't try to hide keywords by making the background color the same as the font color. This is called keyword stuffing or fontmatching. Google and other search engines are increasingly sophisticated at catching this, and they'll likely remove any offending Web sites from their search engine index. Another common error that individuals make is using CSS code to hide the text. CSS cannot be seen by humans. So if you write <div styel=”visibility:hidden:”> then put your keyword in with </div> at the end you are hiding text. It is less risky for you with the search engine, but it can still get you booted out. very helpfull article in SEO and also i would like to make something to prevent people to spam my blog. Great resource! 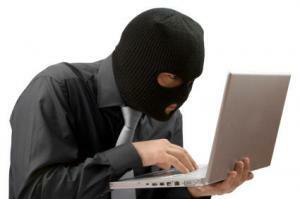 Webmasters should definitely keep those in mind to avoid those mistakes. Thanks for sharing this post.